Instead of waiting around for the next craze, marketers should be maximising the current opportunities for successful marketing, he recommends. 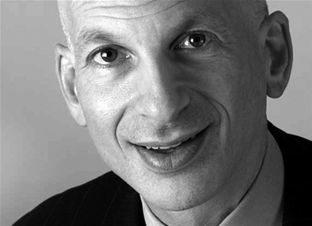 Named one of the top 21 speakers for the 21st century by Successful Meetings Magazine and Business Week’s “Ultimate Entrepreneur for the Information Age,” Seth Godin will be presenting live via satellite from New York at the upcoming marcus evans CMO Gipfel 2011 in Bad Doberan, Germany, PharmaBrand Summit 2011 in Montreux, Switzerland, and CMO Summit 2011 in Queensland, Australia. Successful companies recognise the need for change and will embrace that, Godin explains. “For 100 years, companies succeeded by building a level of efficiency and productivity, and by repeating that in a reliable way. Change is a problem for people who live in that world. Godin describes the most dangerous thing that marketers can do - looking for the next big thing. Among his greatest contribution to the marketing space Godin says that he gives people tools that they can use to speak to one another and to share ideas they already believe in. The marcus evans CMO Gipfel 2011 took place in Bad Doberan, Germany on 15-17 May; the marcus evans PharmaBrand Summit 2011 will take place in Montreux, Switzerland, on 27-29 June; the marcus evans CMO Summit 2011 will take place in Queensland, Australia on 18-20 September.